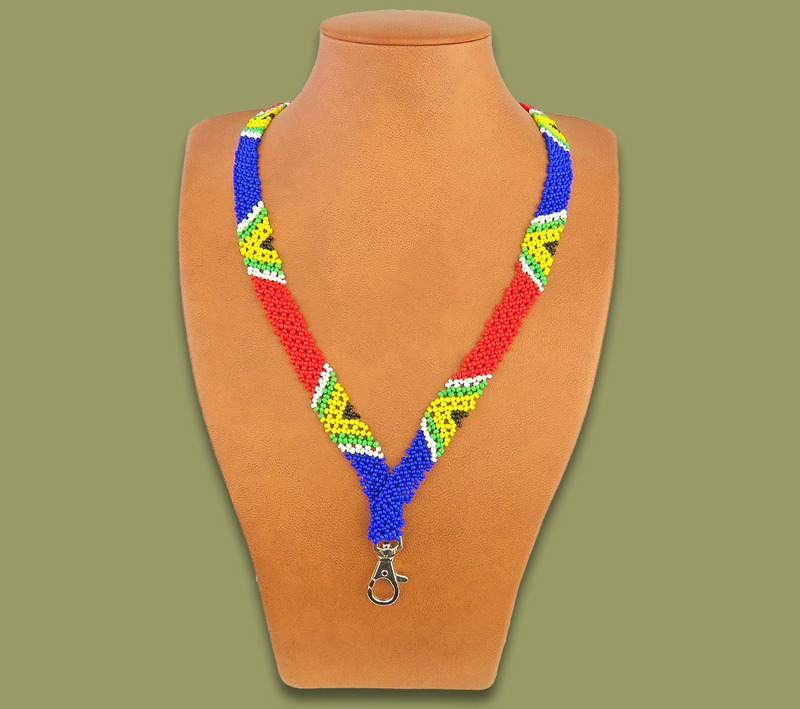 Beaded SA Flag Lanyards WIDE, also available in a thiner version. Handmade in South Africa. If you require the plastic lanyard pouch please order this separately. All our lanyards can be custom made to incorporate company colors. DIMENSIONS: 80CM X 1.50 CM.